World's most expensive coffee has a controversial history. The most expensive coffee in the world is harvested from a place where the sun don’t shine. It’s an exotic delicacy called Kopi Luwak, made from coffee beans found in the droppings of the Indonesian civet cat. A single serving can go for as much as $90 in the US. Historically, civets roamed free on coffee plantations, feeding on the coffee cherries at night. After the animals eat the flesh of the ripe coffee cherries, their digestive system apparently imparts a smooth body and aroma to the beans, which emerge whole on the other side. Their droppings are then collected, cleaned, roasted and brewed for coffee. But these days, the vast majority of civet farms cage their animals to maximize production. The Indonesian Civet Coffee Association acknowledges past animal cruelty but now says it has set minimum standards for raising civets humanly in captivity. In 2013, PETA released a video of civets in captivity secretly filmed on various coffee farms in Indonesia and the Philippines. 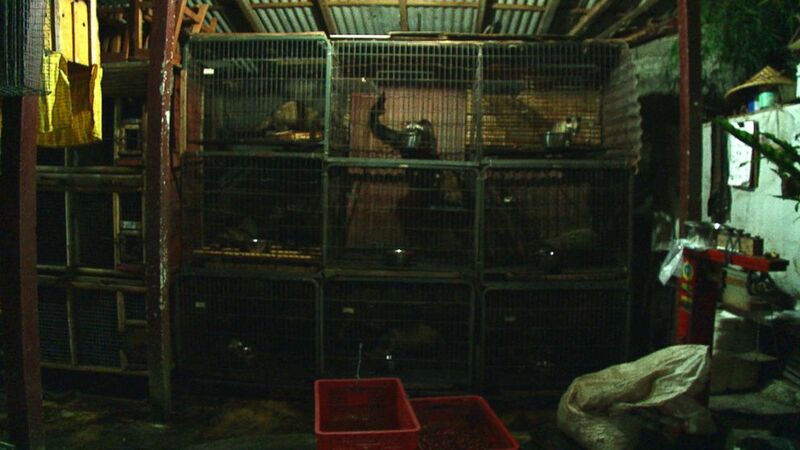 In the video, the civets are kept in small cages. They bob and sway, bite and scratch themselves and run around in circles. ABC News traveled to a civet farm in Bali, Indonesia, and filmed similar conditions. (ABC News) Indonesian civet cats kept in captivity at this civet farm ABC News visited in Bali. Many Kopi Luwak producers now profess to use droppings collected only from wild civets. These are brands sold in American specialty shops and on Amazon.com. But critics maintain it would be nearly impossible to sustain a viable business relying solely on wild supply. Despite the controversy, Kopi Luwak maintains a strong appeal and an exorbitant price tag -- at one point commanding $250 per pound. So "Nightline" asked Rhodes to put his theory to the test. He organized a blind tasting in which he and three other professional coffee tasters compared six different fancy specialty brands. Kopi Luwak came in fourth place. Not a ringing endorsement, considering it also costs 10 times more than the highest-ranking coffee they tested.